Expressing satisfaction with the decision of the West Bengal Government to intervene to finalize the implementation of the Minimum Wage Act in the tea gardens of the hills of Darjeeling, the Gorkha Janmukti Morcha (GJM)-backed tea trade union and those of other political parties have decided to hold gate meetings on July 20 to make workers aware of the development. 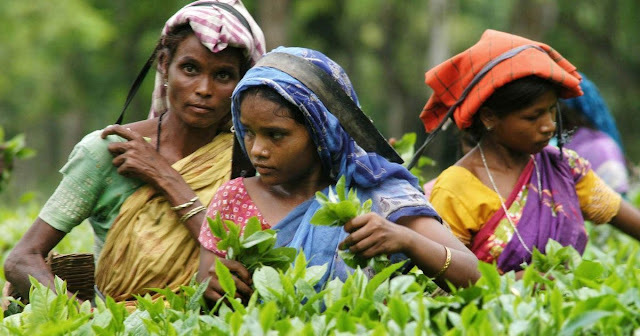 The Joint Forum, a conglomeration of over 23 trade unions of tea gardens of North Bengal including those in the hills and which also includes the Darjeeling Terai Dooars Plantation Labour Union (DTDPLU), affiliated to GJM, have been demanding implementation of the Minimum Wages Act among others. A series of meetings have been held between the tea garden management and trade unions with participation of the State Government. A minimum wage advisory committee has also been formed which has representation of the unions, the management and the State Government. There was a meeting of the advisory committee in Kolkata which failed to yield desired results. There was also another on July 12 at Uttarkanya in Siliguri attended by Chief Minister Mamata Banerjee. “We have got positive response from the State Government. It was with our effort that we forced the State Government to become proactive on the demand. We are of the belief that after the July 17 meeting of the advisory committee, the next meeting on July 30 will be the final, on the issue of implementation of minimum wage act in tea gardens of the Hills,” said Bharat Thakuri, the DTDPLU, general secretary. part of the Forum but refuse to support agitations like strikes. We have already suffered during the 104-day bandh. And after all, every issue has to be settled on the table come what may,” Thakuri said. The JF members of the hill gardens on Wednesday also asserted that they would hold gate meetings to make people aware of the development.“Everyone knows who has done what to achieve the demand. We have put in all our effort and worked on a common platform for the same cause. We feel our effort will pay dividend very soon. We have to tell workers what has transpired. And that an announcement could possibility made on July 30 for implementation of the Minimum Wages Act,” said convener of the Hill Sub-Committee of the Joint Forum JB Tamang and general secretary of the Himalayan Plantation Workers Union (HPWU), affiliated to the Gorkha National LiberationFront. With the State Government giving out positive vibes, Tamang who had earlier threatened an intensified agitation for the Minimum Wages Act demand, on Wednesday said the decision had been kept in abeyance. “We did announce our agitation programmes. The State Government has taken a step forward and so we too must back-down. This is how things are negotiated. However having said that, we will go ahead with our pre-announced agitation if the July 30 meeting does not yield the desired result,” Tamang said.